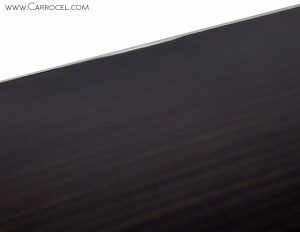 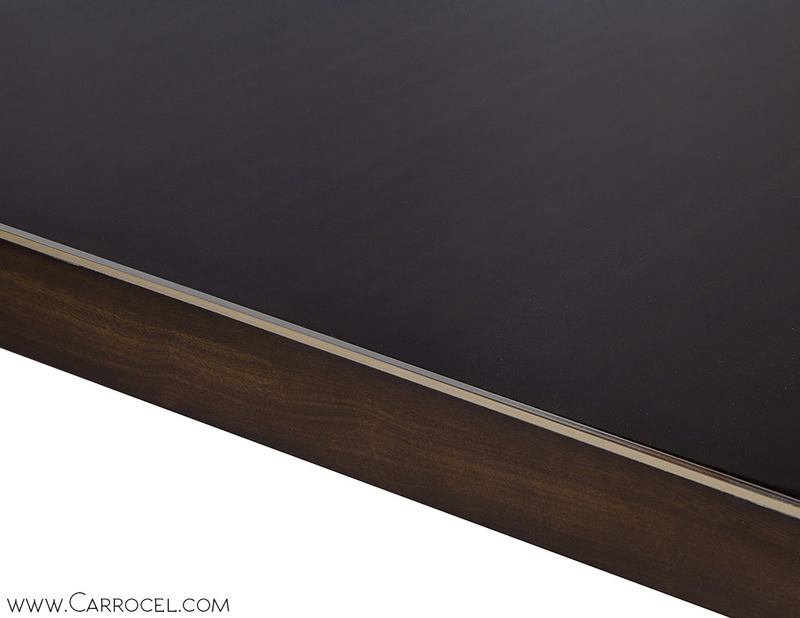 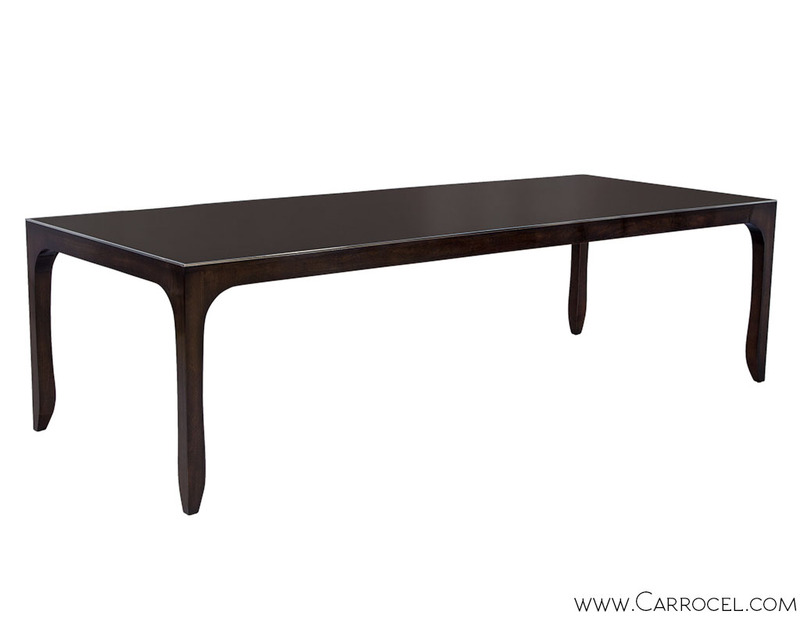 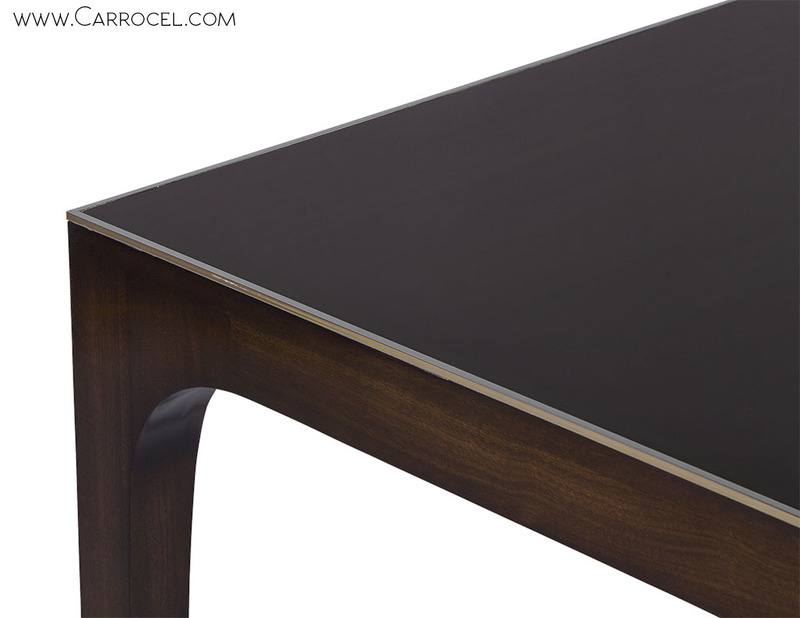 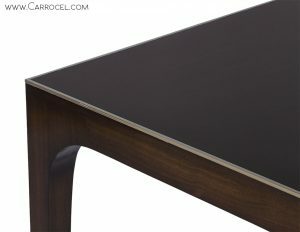 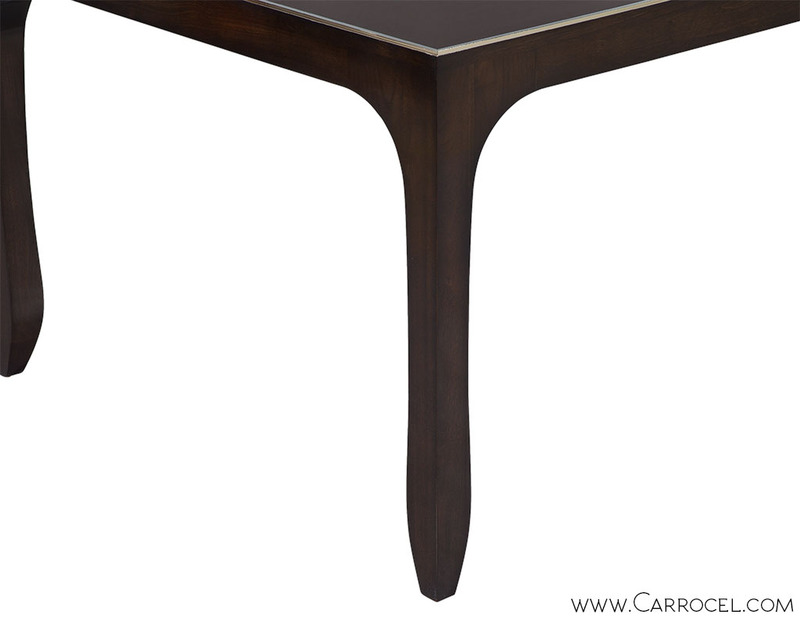 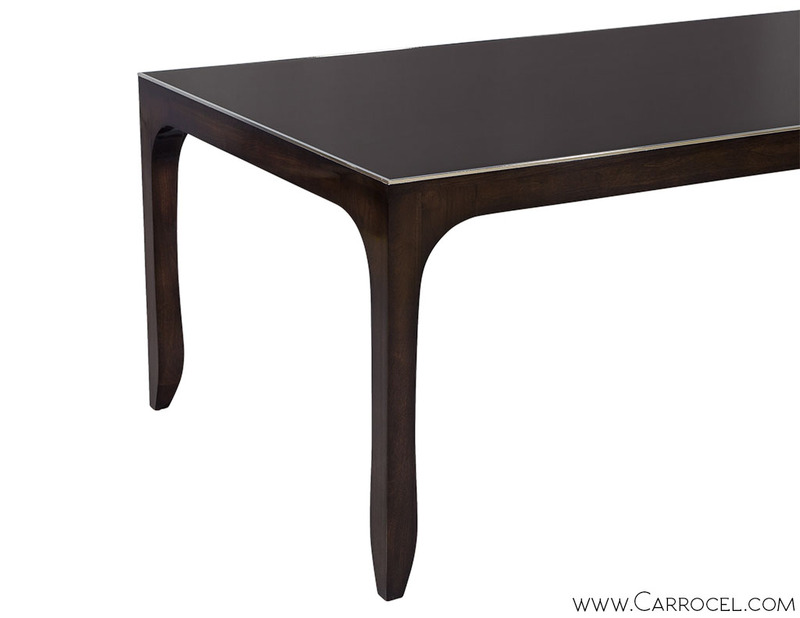 A stunning linear appeal with classic modern aesthetic, this custom walnut dining table is a perfect drop of design. 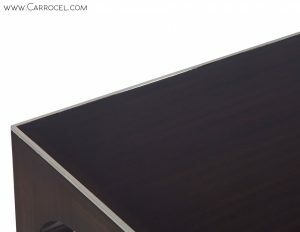 An overall simplicity captures the eye with a filleted transition from the apron to the legs, a rift cut walnut veneered top slightly beveled around the perimeter featuring unique metal trim and a rich dark Espresso satin finish. 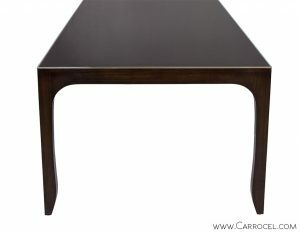 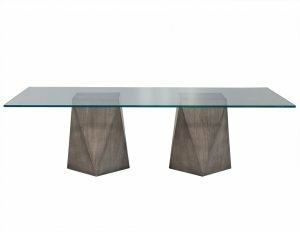 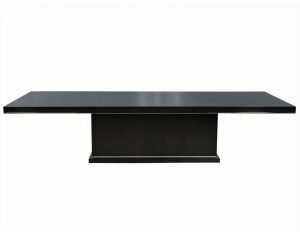 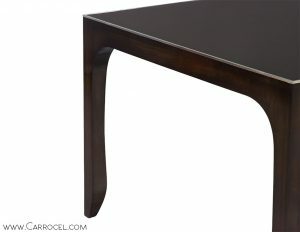 As an item in our custom program, you can order this table to the dimensions and finish required for your space. Contact us directly for a quote.